We recently posted an article about a notable medical personality and University of Michigan grad Dr. Sanjay Gupta shifting his stance on marijuana. Although the influential celebrity doc came out with strong public support for legalizing medical marijuana, his revised stance will have little direct affect on state and federal laws. But just last week a politician, whose stance on the topic will affect state and federal pot policy, voiced a similar change of heart. Attorney General Eric Holder informed the governors of Colorado and Washington that the Department of Justice will not seek to override their state’s new marijuana decriminalization laws. The Fed’s top prosecutor and his staff also issued a memo to each of the assistant United States attorneys, which clearly spells out the revised guidelines for handling marijuana cases on the federal level. The memo describes eight points of emphasis, and not surprisingly simple possession didn’t make the cut. The eight enforcement priorities include tasks such as preventing marijuana cultivation on public lands, national parks, and forests. This type of activity, which has been widely publicized on television shows and documentaries, is widespread in northern California where the climate is perfectly suited growing the plant. The DEA and other law enforcement agencies spend millions of taxpayer dollars to curtail this type of activity, and it seems the dollars will continue to be shelled out for this cause. Other enforcement priorities include preventing marijuana distribution to minors and stopping driving while under the influence of drugs. These two enforcement priorities are also shared by most state law enforcement agencies. The feds will also continue to expend a great deal of resources toward thwarting the efforts of cartels and criminal gangs to traffic marijuana into and throughout the country. 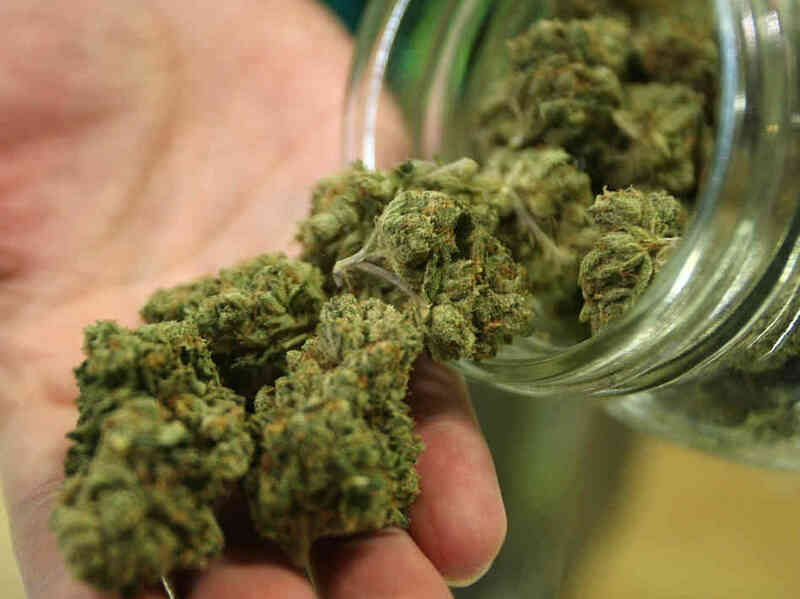 The feds have also clarified their stance on medical marijuana dispensaries, which have for the last several years been subject to federal raids despite being legal under state law. The DEA has been known to shut down highly profitable dispensaries on a whim, while ignoring less profitable shops. As of last week though, prosecutors and federal law enforcement agencies have been instructed only to interfere with the dispensaries when additional illegal activities are suspected. And by using the word additional, it still means there is no indication that the feds are on the brink of legalizing marijuana for medical or personal use under federal law. Pot is still illegal under the controlled substances act until further notice and this bizarre turning a blind eye stance now appears to be official policy. It may be a decade or two before the federal government gets around to legalizing medical marijuana, and then decriminalizing it for personal use. But for now we will continue to witness baby steps such as conference calls and interoffice memos setting the policies. Very few national political figures are willing to offer unequivocal support for legal marijuana including the boss man himself, President Obama. But as public opinion continues to shift in favor of legalization it will no longer be going out on a limb to support pot for those who want it. Benjamin Herbst is a drug crimes lawyer, practicing in all state and federal jurisdictions in Maryland. Contact Benjamin Herbst for a free legal consultation anytime at 410-207-2598.